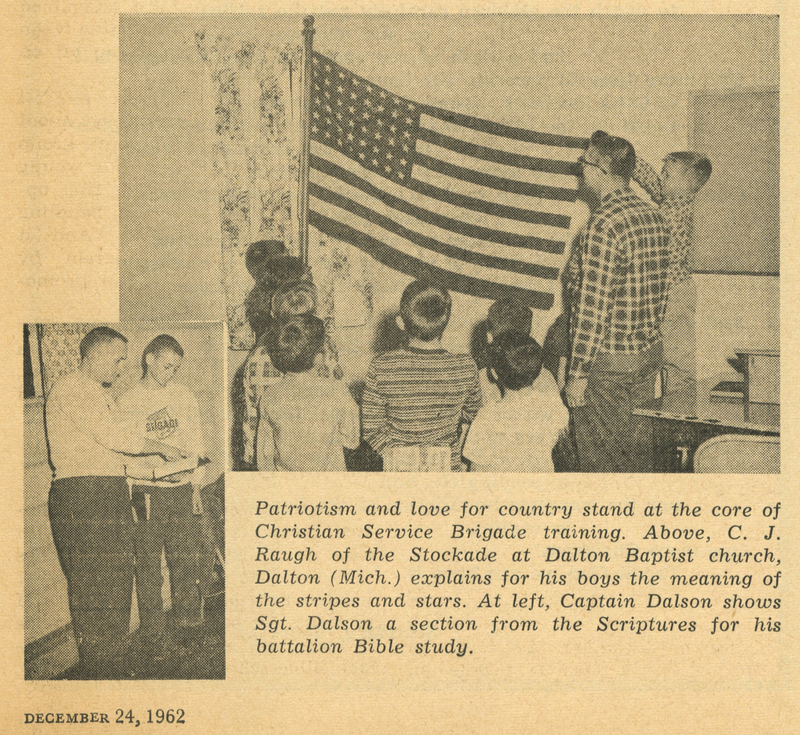 Whereas in previous years chaplains had been characterized more as missionaries than as part of the American military apparatus, the domestication of the chaplain intensified in 1968-69 as the language and imagery of the domestic church invaded the military chaplaincy. 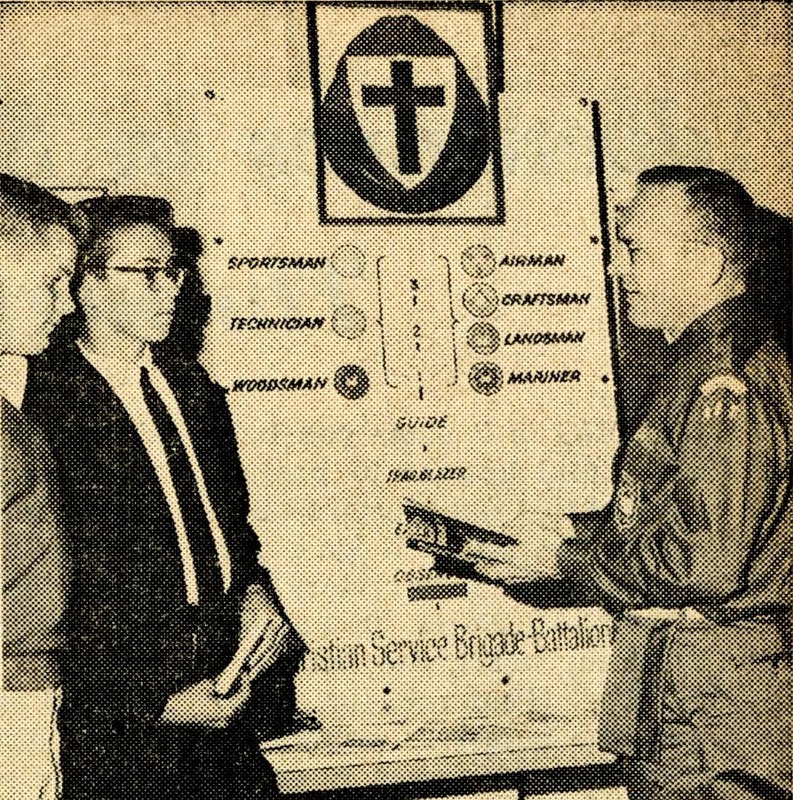 In this post, I’d like to look at that invasion of the domestic further by way of a case study focusing on a program the Conference participated in called Christian Service Brigade (usually referred to by the shortened ‘Brigade’ moniker). A boy’s love of adventure, the outdoors and rough-and-tumble activity should blend naturally with his love for Christ and desire for Christian growth (May 1, 1975 Standard). As an external program in which the Conference participated, I’m really not sure how much freedom was afforded to Conference churches in the running of the program. Harvest Press, the Conference imprint, did publish Brigade materials, so I’m inclined to think that the Conference had significant leeway, but I’d be happy for correction. No matter the degree to which the Conference could control Brigade activities, the organization makes an interesting case study of the changing acceptance of militarism within the BGC. The program was heavily advertised in the Standard, and those advertisement were often accompanied by photos. These materials make possible some interesting analysis. By 1964, the photos accompanying Brigade features had changed. Gone were civilian clothes; in their place were full, military-style uniforms complete with medals, badges, and ties. 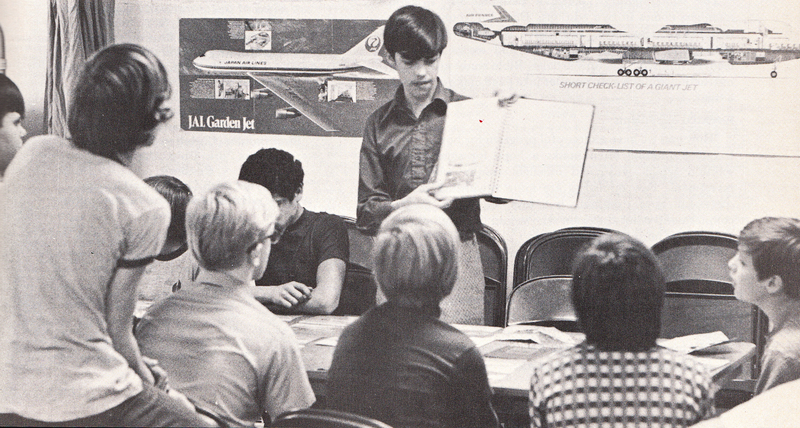 The bible memorization and spiritual emphasis of the earlier program continued, but was supplemented by new additions: camping, outdoor survival skills, and aircraft maintenance. 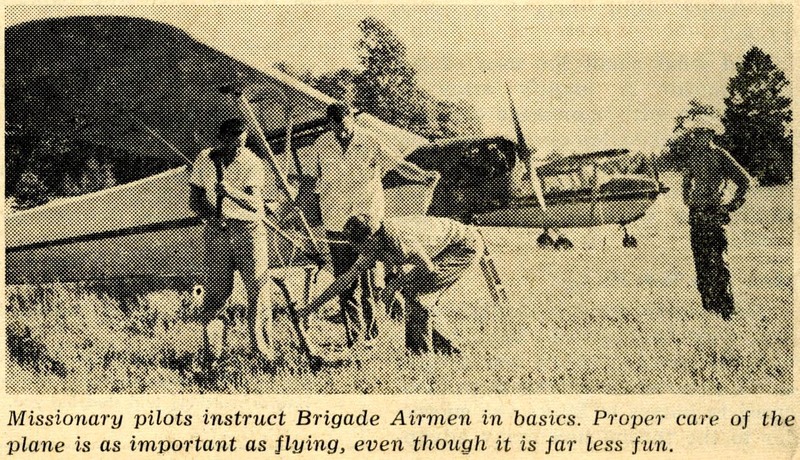 While that latter activity was billed as an essential skill for a missionary pilot to have, it’s a little eerie to see knowing that some of the boys pictured may well become mechanics in Vietnam; the juxtaposition between the quasi-military nature of the scene and the civilian mundanity of task at hand reminds me of a still from Leni Riefenstahl’s 1935 film, Triumph of the Will which similarly mixes civilian and militaristic themes. That kind of militaristic ethos persisted in Brigade from about 1964 through 1969 (the dates are impressionistic). Around that latter year, the hard edges of Brigade started to wear off and the photos illustrating the Standard begin to lose their military discipline. Although the dates are slightly later than the domestication of the chaplaincy I observed previously, the pattern roughly fits: the early years of the war saw the establishment of a blend of patriotism and Christianity which was directed toward missions; the late ’60s saw that mixture elided in favour of a softer, domestic image. 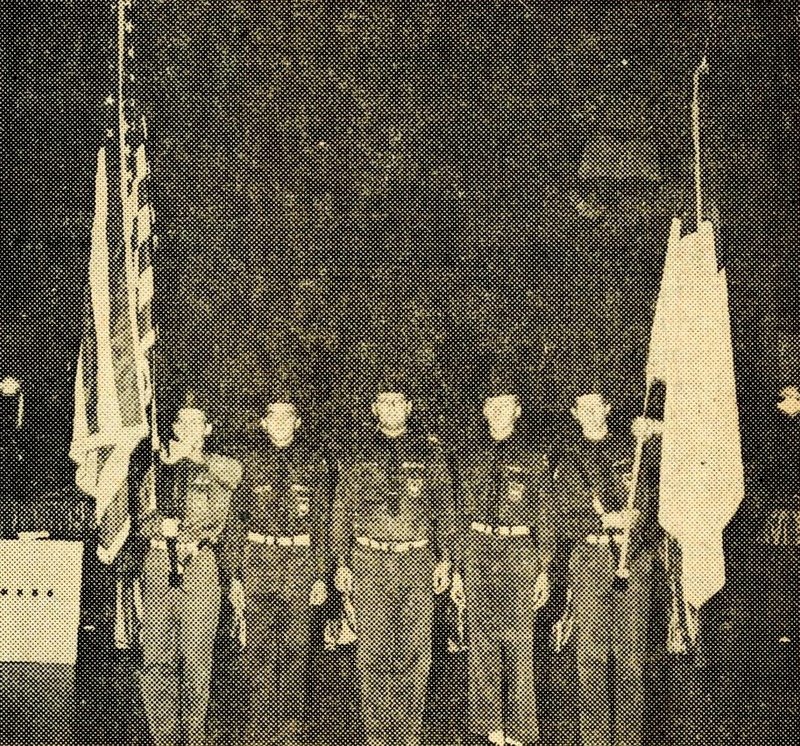 By 1975, Brigade had changed entirely, eschewing both uniforms and the patriotic language employed over a decade earlier. 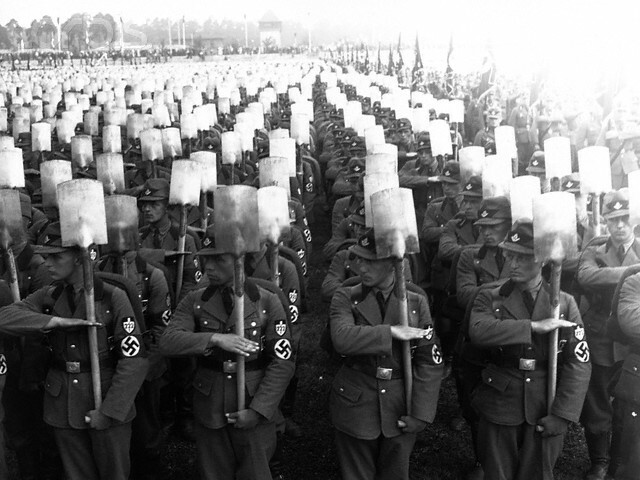 Brigade still operates today, and from a brief perusal of its website, today’s Brigaders seem to have adopted a balanced look; their uniforms evoke the Boy Scouts more than the military. I’d be curious to know whether the organization saw the same kinds of shifts in ethos during other wars. And given the organization’s founding on the eve of World War II, I’m curious to see what Chris will turn up if he encounters Brigade in that era.